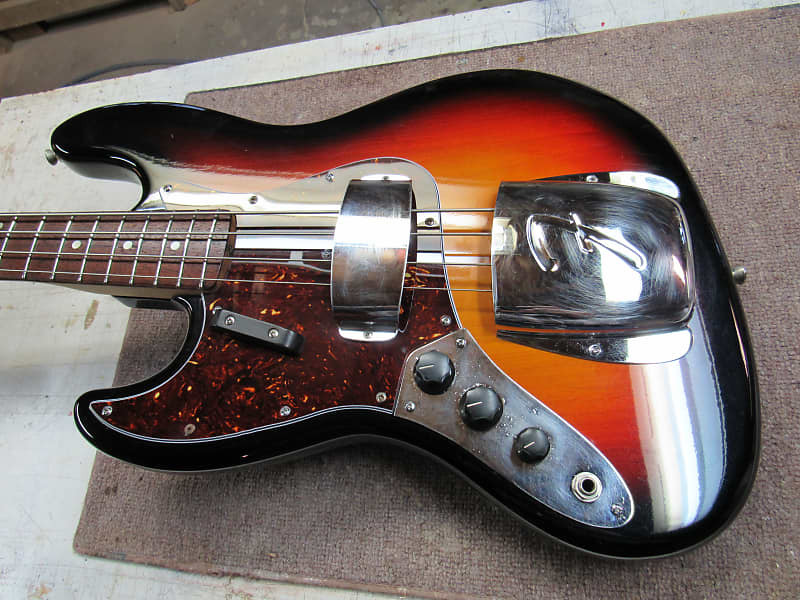 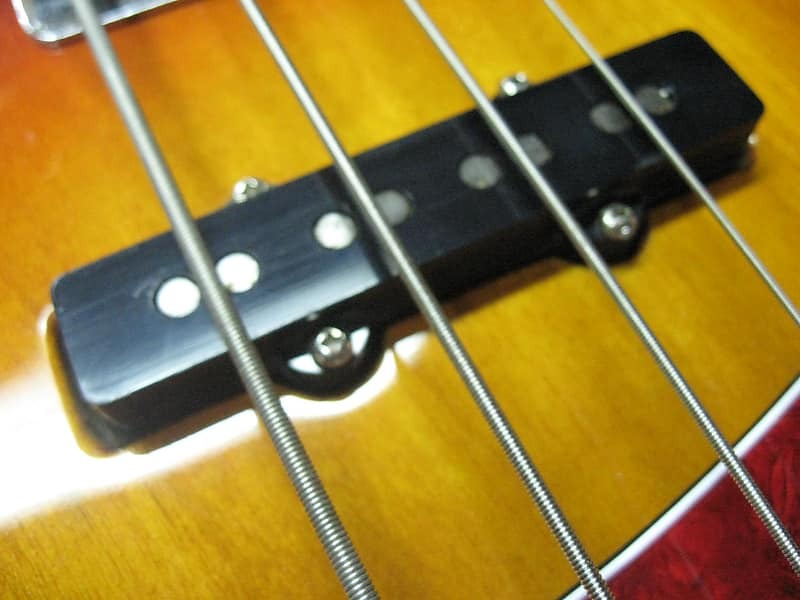 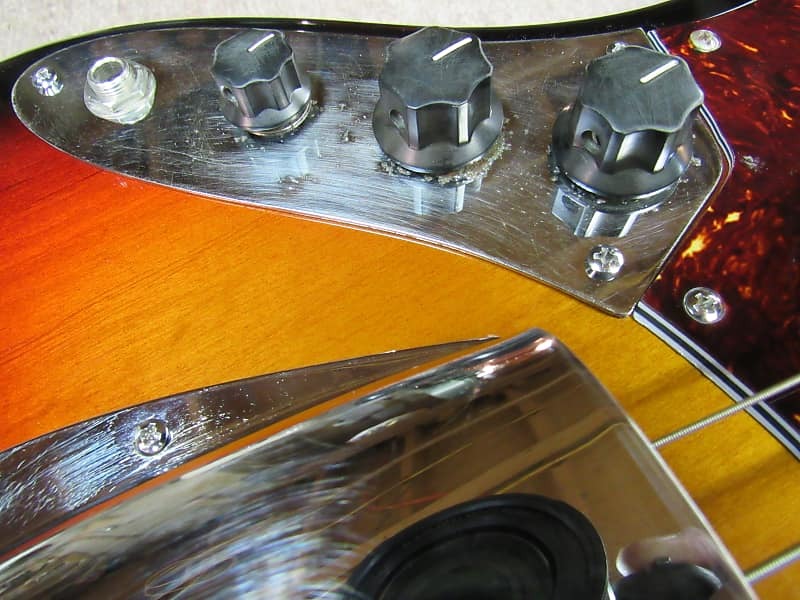 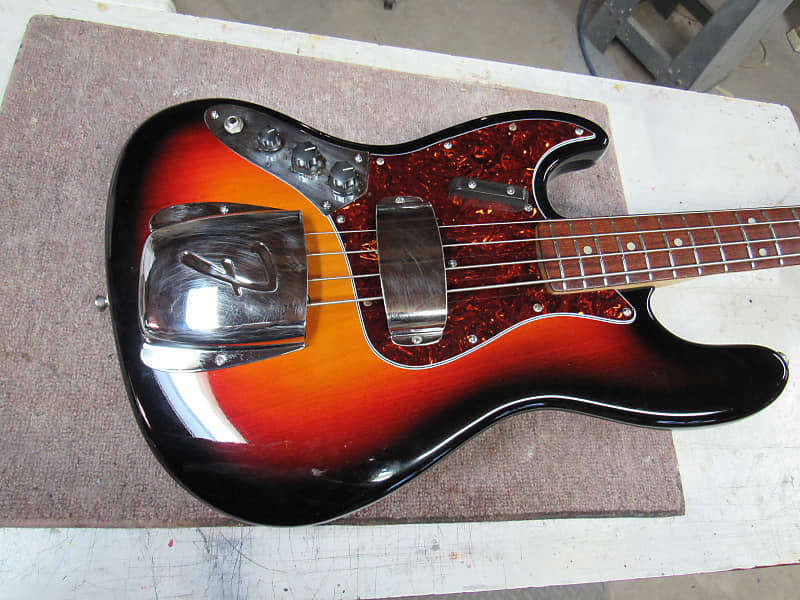 This is a 1965 vintage Jazz Bass, left hand, 3 color sunburst finish. 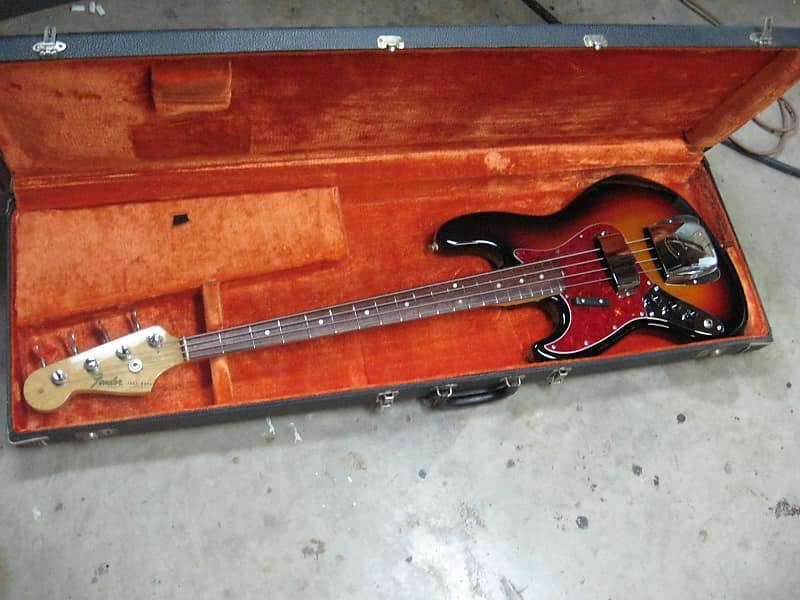 This is a one owner bass purchased at Buckley's Music in Halifax, NS in 1965. 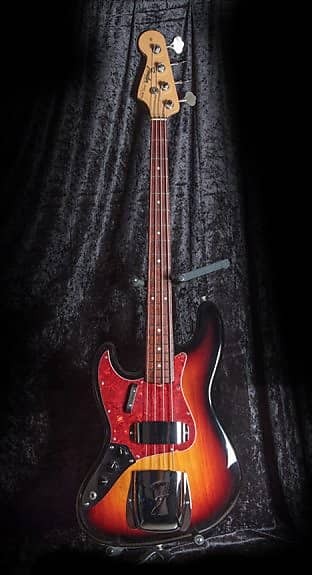 It was the first left hand Fender Bass imported into Canada through The Fender distributor at the time for Canada, Pete's Music in Montreal and sold to Buckley's Music where I purchased it. 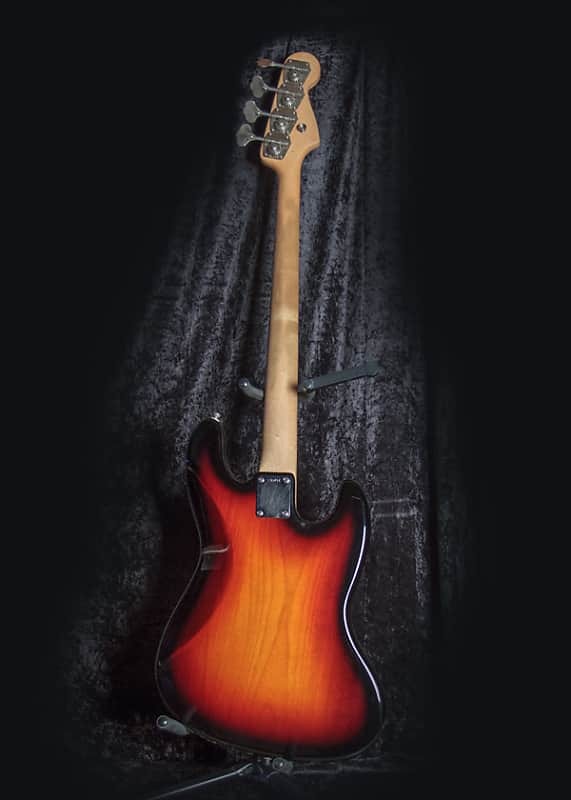 This bass has been retired from active playing approximately 10 years ago but not before the frets were replaced and dressed professionally. 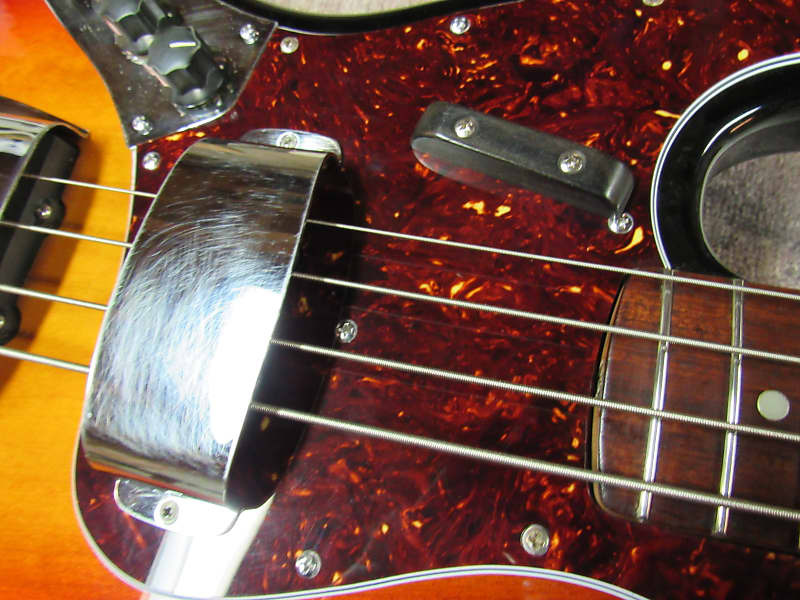 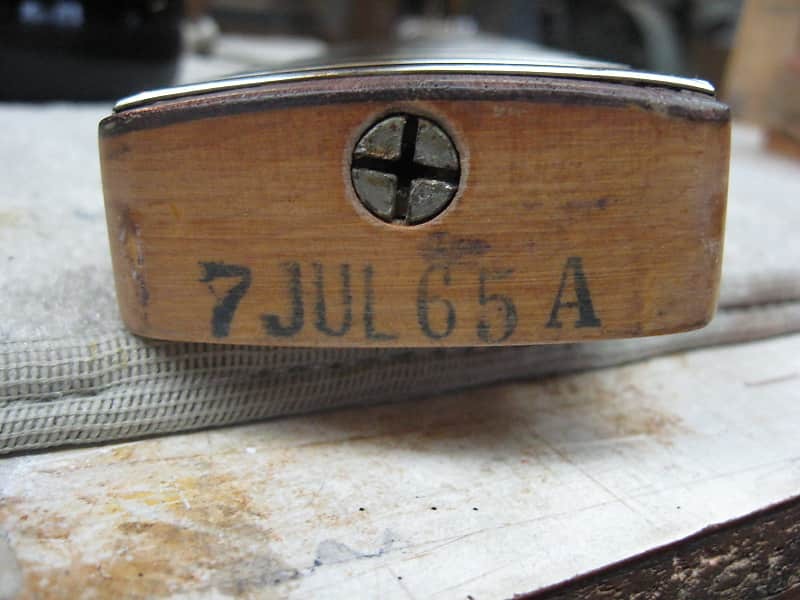 This is a great sounding bass with that vintage tone that the 65's are famous for. 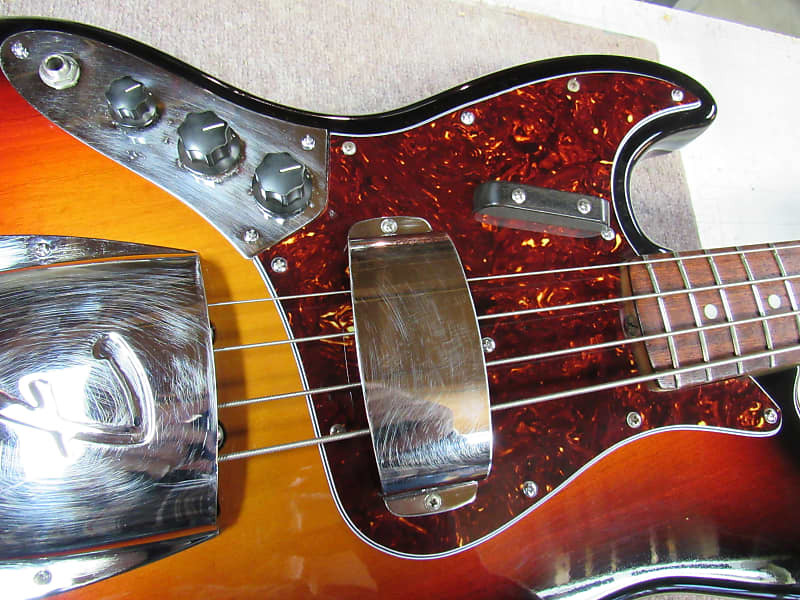 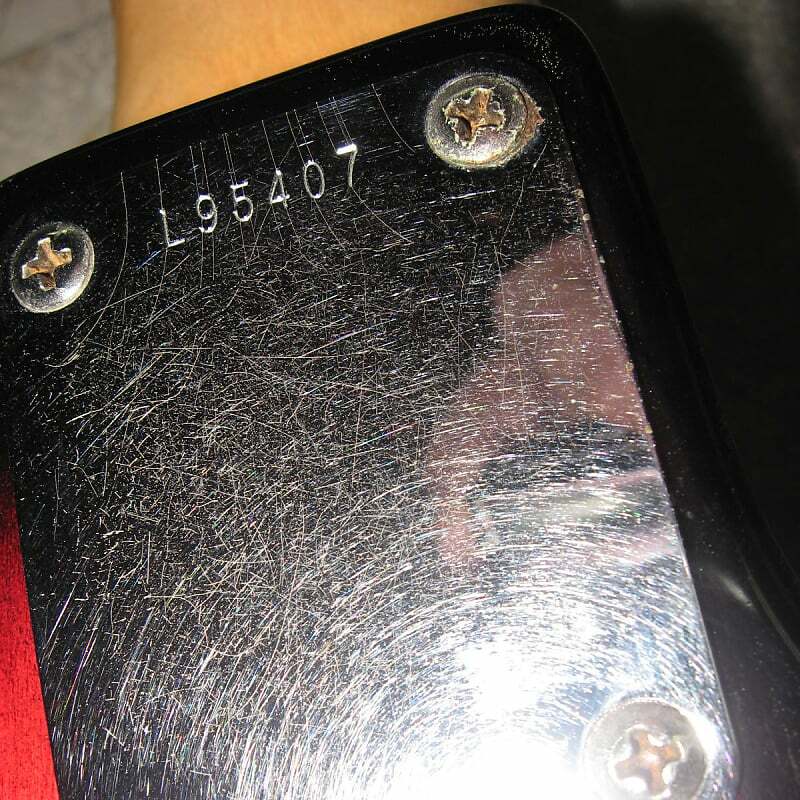 The pick guard has been replaced (note change in pick-guard) as well as the pots but all the rest of the hardware and electronics is original. 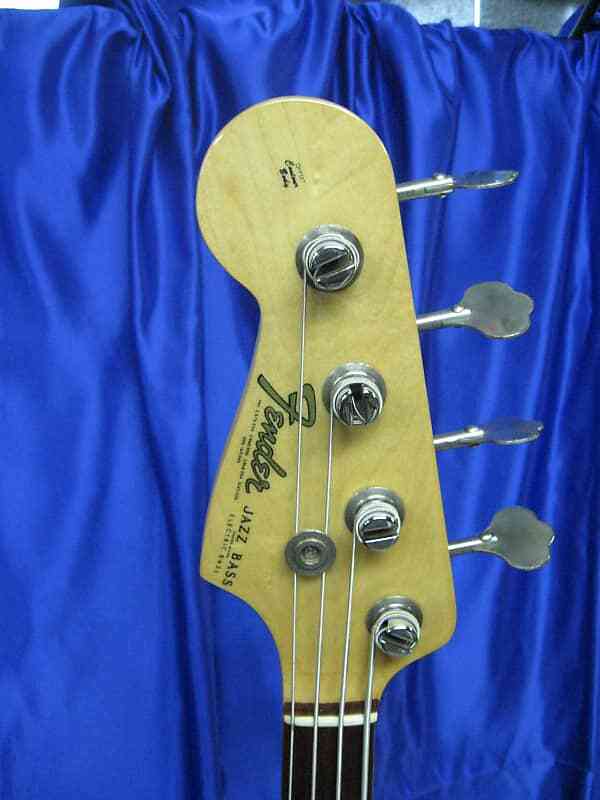 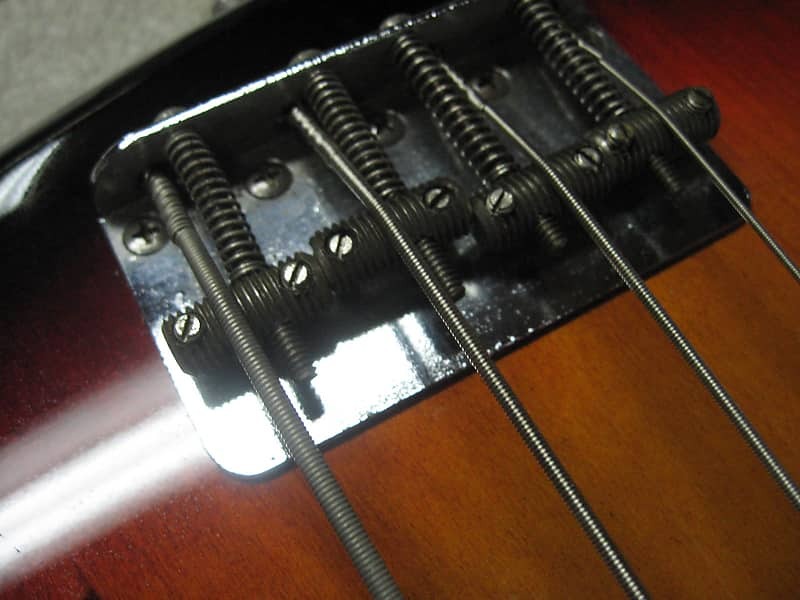 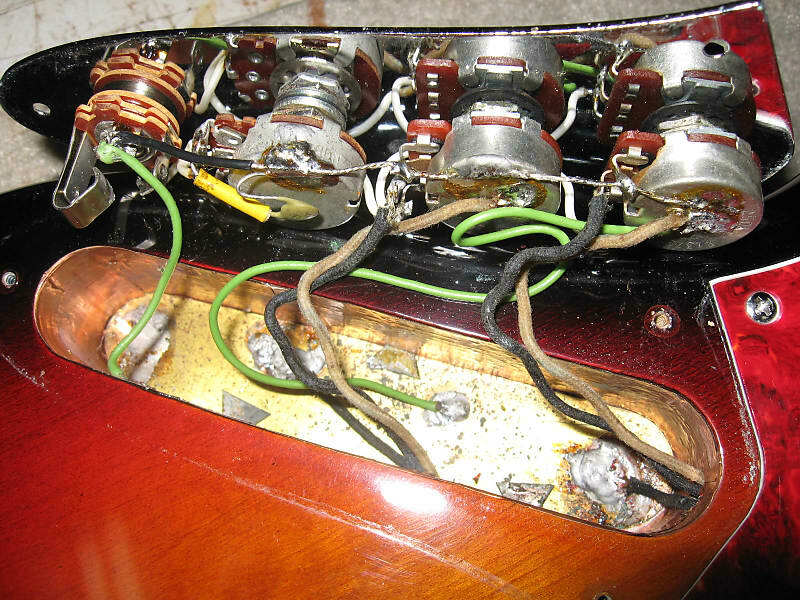 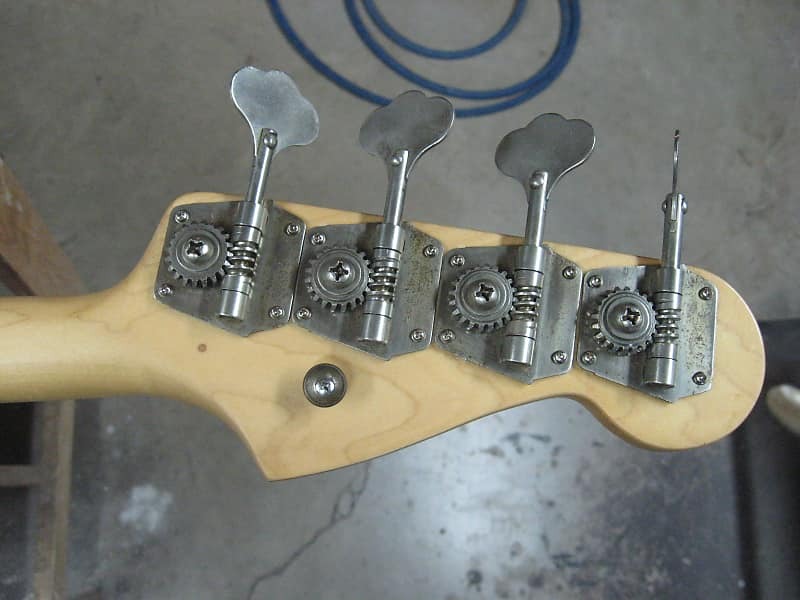 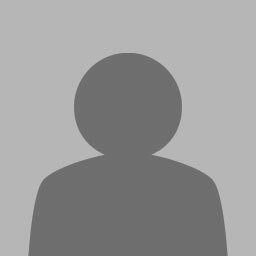 The bass has been well maintained by the owner over the years. 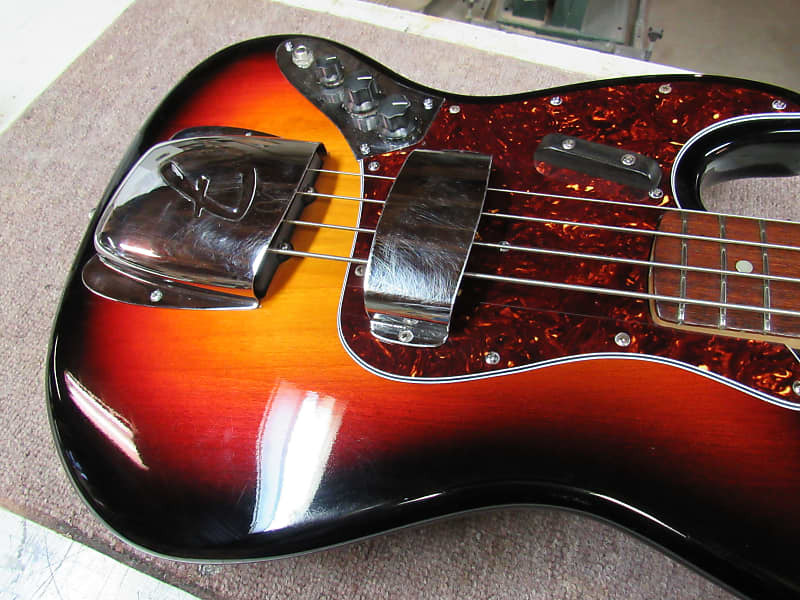 The refinish work to the bass has been done masterfully and is better than the original finish. 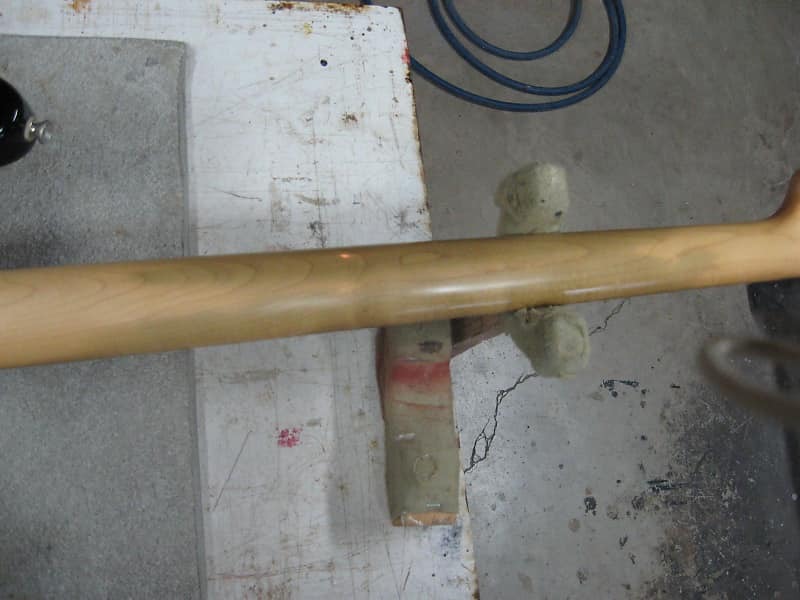 The color transition from black, to red, to yellow is perfect and gradual making the burst really look nice and very professional.